All Hy-Lite® acrylic blocks are injection-molded from American-made resin in our Pensacola, Florida manufacturing facility. 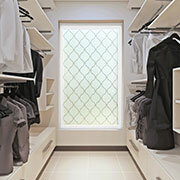 Our acrylic block window products are proudly made in the U.S.A. by American workers from start to finish. Each Hy-Lite product is custom made to the specifications of the customer. 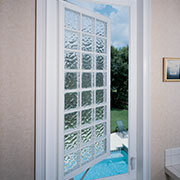 Acrylic Block Windows - Acrylic Block Windows protect your privacy without the sacrifice of valuable natural light. Hy-Lite offers a comprehensive line of acrylic block windows for new construction and custom replacement applications. 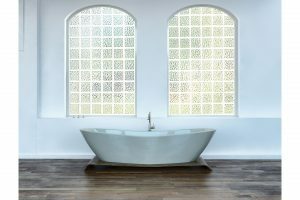 These eye-catching privacy windows feature energy-efficient all-vinyl or thermally-broken aluminum frames, and may be ordered in fixed, operable, and special-shaped styles. Home Designer Collection - Introducing the Eclectic New Home Designer Collection™. With the help of our new Hy-Lite Designer Advisory Council, we've created a brand new line of privacy windows unlike anything you've ever before seen from Hy-Lite®. Whether the style is contemporary, transitional, or traditional, Hy-Lite's new Home Designer Collection™ has something for everyone. True Glass Block Windows - Adding Originality to the Original - Pre-framed and ready to install, Hy-Lite's 2" thick True Glass Block Windows are lighter than traditional 3" thick glass blocks and are pre-framed for easier installation. Unique to these windows is Hy-Lite's Vinyl H-Bar Spacer System, which protects the blocks from pressure cracks as the house settles. Choose from squares, rectangles, stair steps and more in one of our four designer frame colors to complete your unique look.